Looking at and understanding European, such as French or German, wine labels can be the world's most confusing experience. Do you know the feeling when you look at a bottle and you are unable to collect even the most basic information from its label, because you are unable to translate the meaning of those foreign terms? Understanding wine labels can be a pain, but you should be able to glean at least the following information from them if you want to find the right wine for you. It would be fine if you could only tell the grape varieties from which the wine was produced, but in the case of European wine labels this could be a tricky business. After reading this hub you will be able to glean all the above information from most wine label. Even old world ones. Using this information then you'll have the best chance of working out what the wine will taste and if its the one you are looking for. They are used to distinguish one wine from the other from the same producer, but tell you nothing about the quality of the wine. Similarly misleading are the words 'supérieur' and 'superiore'. They don't mean that the wine is superior in any way, but rather that it might have a slightly higher alcoholic strength that the ones without the 'superior' designation. One of the first things you might want to understand from a wine label is if the wine is sweet or dry. It's important to keep in mind that most wine labels do not say it if the wine is sweet. Wines that are always sweet should be in highlighted as such in the restaurant or shop. If they are not, all you have to work with is the color of the liquid. If you suspect that a wine might be sweet, look at the color. If it's a deep, yellow-gold color, the wine is most certainly sweet. However, there are some wines that are only sweet in some years and dry in others. You can look for the words 'dry', 'medium' and 'sweet' in the language of the wine. 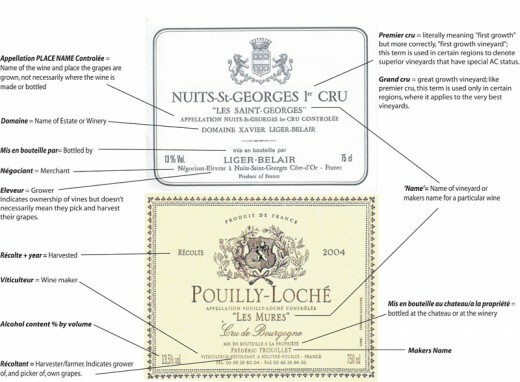 A comprehensive French wine label language guide here. 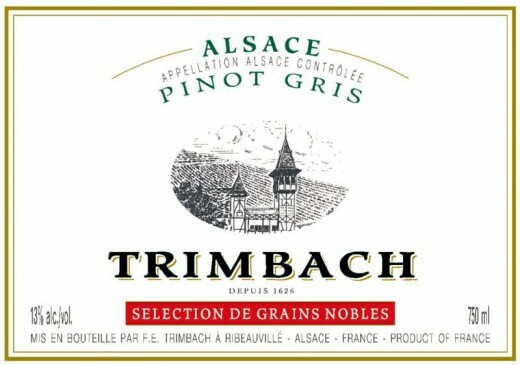 AC Alsace, Slection de Grains Nobles From late harvest, affected by noble rot means wine is sweet. Auslese, beerenauslese, trockenbeerenauslese all mean the wine is sweet. 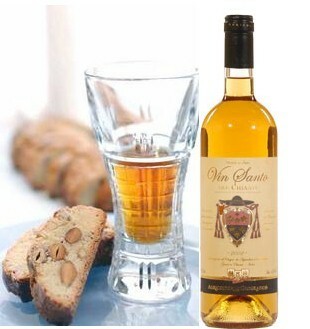 Sweet wine of Italy suggested by both the deep golden color and the Vin Santo designation. Dried grape wines can be both sweet and dry. They are known for their extra concentrated flavours, because the are made from very ripe grapes that lost most of their water concentration. Due to the high cost of making wine from dried grapes these wines are more pricey. Dried grape wines with the Vis Santo designation are almost always sweet. 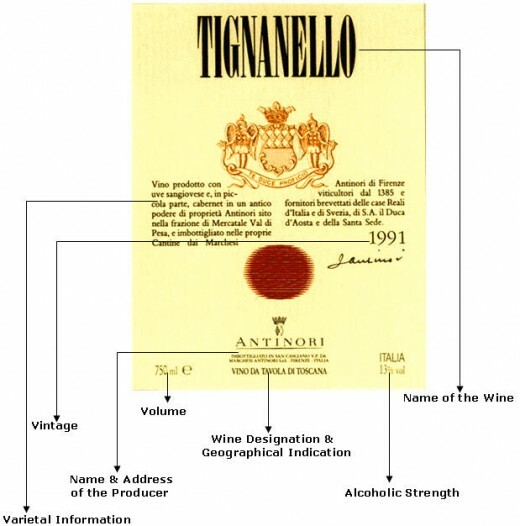 A comprehensive Italian wine label language guide here. A comprehensive Spanish wine label language guide here. In France, there is a nationally regulated quality designation system called Appellation d'Origine Contro^lée (AOC or AC). This is applied to wine as well as many foodstuffs. There exist hundreds of different ACs in France such as AC Bordeaux, however, winemakers wishing to use the term on their wine labels must comply with rules governing everything from the grape varieties that may be planted in the given region to the way the vines are pruned, to the quantities of fruit that may be harvested. Since there are hundreds of different ACs, they may be (and actually are) granted to very tiny areas. 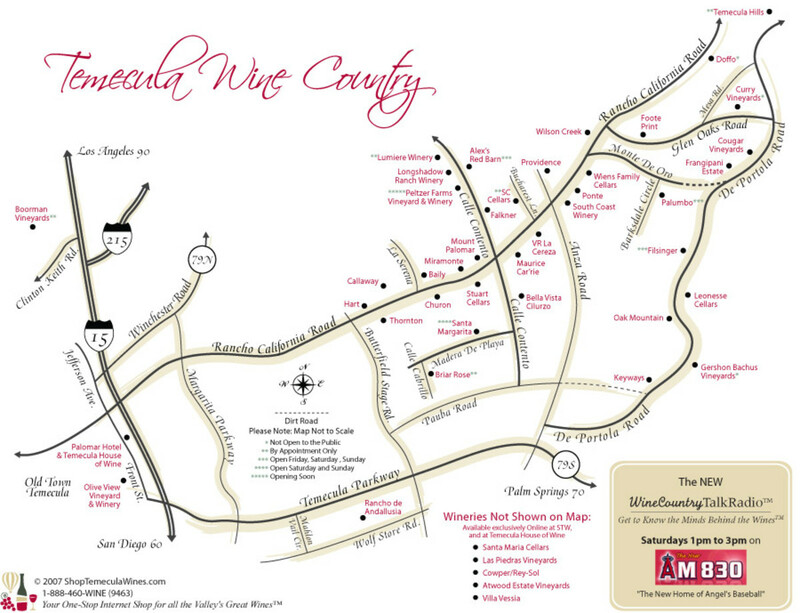 On the labels of wine produced in these tiny areas, more often than not, the only thing that is mentioned is the AC itself. In other words, they expect you to be familiar with the qualities of the wine produced in the area, so that the only information you will need from the label is the fact that the wine is from that area. For example, a wine from the Grand Cru of Clos de la Roche in Morey St-Denis in Burgundy's Co^the de Nuits, may be labelled only Clos de la Roche Grand Cru. It's up to you to know that this village is found in Burgundy and be familiar with the kind of wine they produce. Those wines that do not get or do not want to get the AC, because they don't want the strict restrictions that come with it, may be labelled VDQS - Vin Délimité de Qualité Supérieure. However, more widespread are the so called Vins de Pays regional wines. The advantage of these is that they often divulge more information on their labels than the AC wines such as the grape varieties the wine was produced from. With recent changes in the system AOC on some labels has become AOP, Vins de Pays has become Indication Géographique Protégée. Vignobles de France stands to indicate the most basic category of table wines in France. Grand Cru or Premier Cru are terms that are bandied around rather liberally these days and they more often then not do not have a real meaning of greatness. What's more labels that profess greatness in the form of Grand Vin... are nothing to be taken seriously. 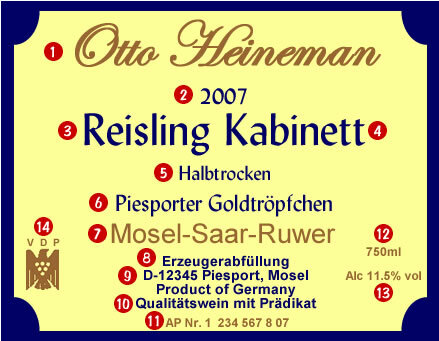 As difficult as French wine labels may be, it is the Germans that win the grand prize for creating the world's most confusing labels. There is so much they want to tell us on a label, except for, of course, whether the wine is sweet, medium or dry. But not to worry, we can work it out. It just takes a little effort. 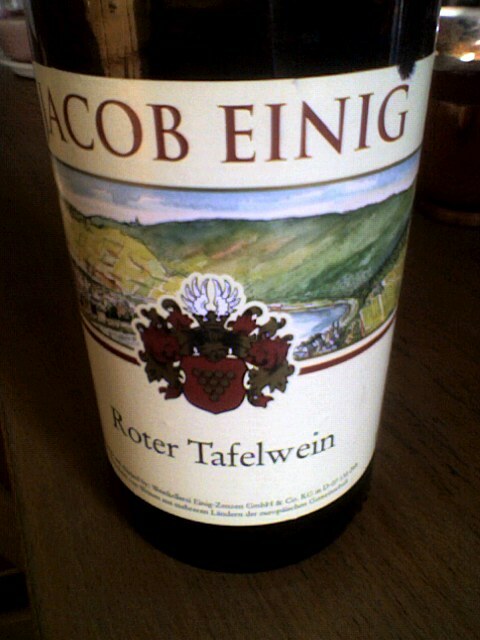 The most basic German wines are Landwein (country wine) and Tafelwein (table wine). 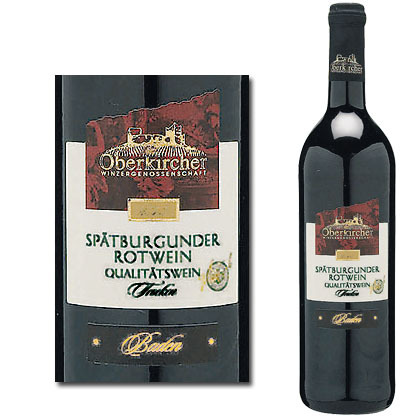 Higher quality wines are required to be made from riper grapes from specific regions and are called Qualitatswein (QbA). QbAs are divided into two categories - Classic and Selection - of which Selection signifies higher quality. All of these Classic and Selection wines are essentially dry. However, QbAs are sometimes chaptalized (winemakers add sugar to produce higher alcoholic strength). A step up form Qualitatswein are Qualitatswein mit Predikat (QmP). They are produced form riper wines than the ones destined for QbAs and are not chaptalized. As you can see this quality classification system is based around the ripeness of the grapes the wines are produced from as opposed to the French system that is based around the existence of designated wine regions. In descending order of sweetness and level of potention alcohol, german wines are: Eiswein, Trockenbeerenauslese, Beerenauslese, Auslese, Spatlese, Kabinett. The first three are always sweet wines. 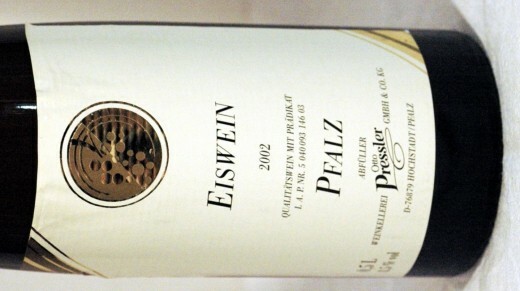 Eiswein is made from grapes left on the vines to freeze. Auslese, Spatlese and Kabinett are sometimes made into dry or medium-dry styles due to the big quantities of the other types of sweet wine in the market. 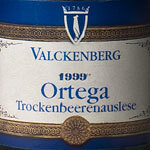 Dry wines in Gremany are called Trocken, Halbtrocken or Feinherb. There is a movement in Gremany, called VDP, consisting of top winemakers who are trying to introduce the idea of site classification. The top sites are similar in quality as French Premiere Crus and are called Erste Lage. This expression is not permitted on a label, but it can be symbolized as a number one found next to a stylized bunch of grapes. VDP's category for wines with less than nine gram per liter residual sugar is Grosses Gewachs (GG) or Erste Gewachs meaning great or first growth. All GG and EG wines taste and are essentially dry. The restrictions of DOC rules are rather constraining, therefore many winemakers otherwise producing very high quality wines like to opt out from under this category and choose to produce IGT wines instead. In other words, many IGT wines are of exceptionally high quality. 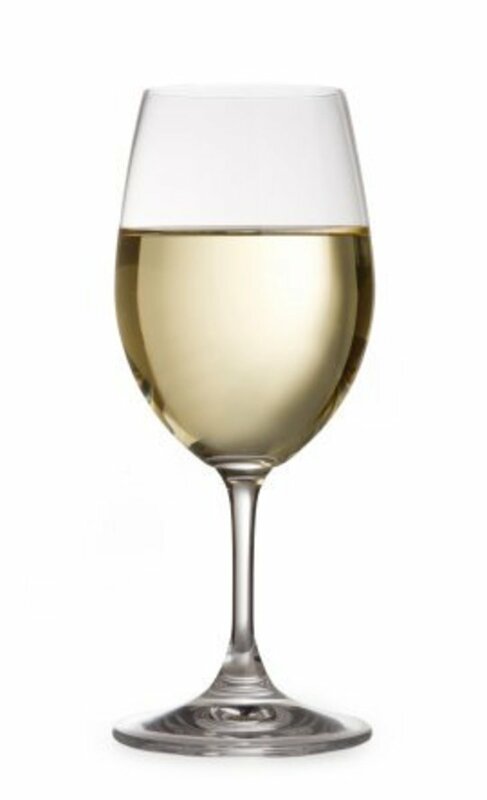 In the names of DOCs are included the grape varieties and the wine regions as well such as in Moscato d'Asti DOCG, which means the wine is from Muscat grapes produced in the Asti region. The quality classification system of Spanish wines corresponds well with the systems found in France and Italy. Most wines from Spain are classified Denominación de Origen (DO) or, in the case of the Rioja and Priorat regions, Denominación de Origen Calificada (DOC). 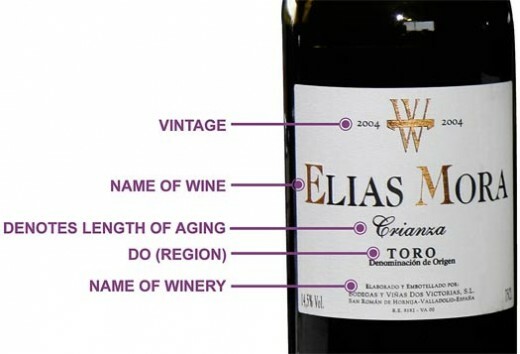 Other classifications you may come across on Spanish labels are in descending order of greatness: Denomonación de Origen Pago (DO Pago) for single estate wines, Vino de Calidad con Indicación Geografica (VCIG), Vino de la Tierra (VdlT) like French vins de pays, Vino de Mesa for table wine. Of course, there are other great wine-producing nations in Europe such as England, Portugal, Greece, Austria, whose wine labels should be pretty straightforward in light of the above information. China is the 7th greatest wine-producing country in the world. Fortunately for me, China is not a European country, because I can't understand its labels at all. The language of wine, how to taste wine, wine recommendations for certain meals and bunches more for beginners. Do you like European wine? Which country do you prefer? Excellent hub. Great detail. In Europe the name of the wine region, the producer and the wine maker or chateau or estate are far more important than the grape variety since many wines are blends of several grapes. 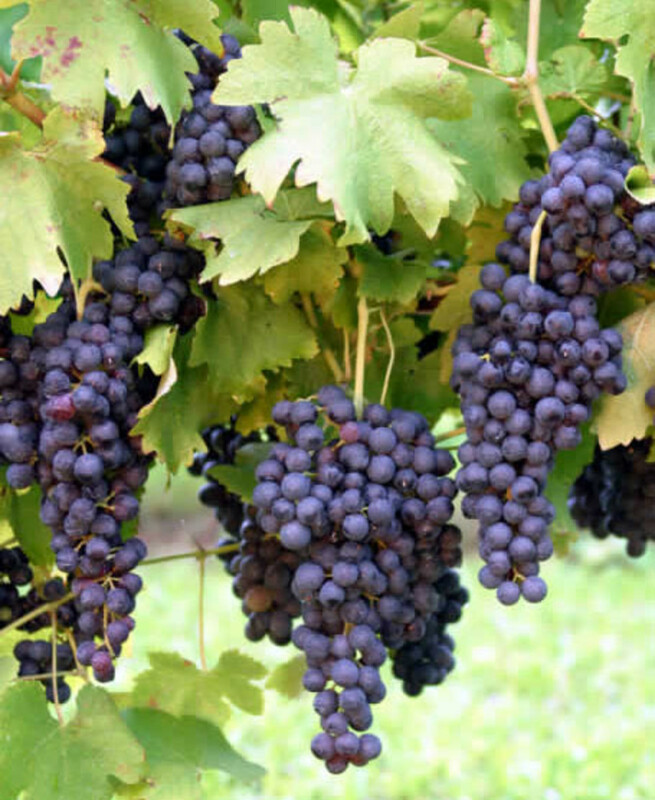 In America and in most other countries, the grape variety comes first. Thank you for these tips. I have often wanted to enjoy a small cup on rare occations, but have a hard time finding one I like. This will help. Thanks again! Thank you, Zsuzsy. I did the same to your hub. It's very useful indeed. Lots of practical tips. I love Californian Zinfandel too. :) I'm good. Hope you're well too! Nice job explaining the labels Haunty. Voted up and useful. I've linked it to my wine hub, hope that that's okay with you.